They are banded with jet black and sparkling copper, so I've added black glass accent beads and copper metal findings. 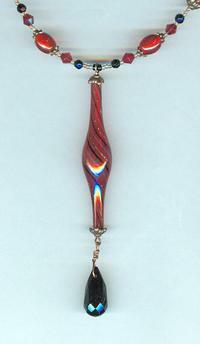 The necklace boasts a pendant that dangles 4-1/4 inches below an 18 inch long strand, that closes with an ornate toggle. 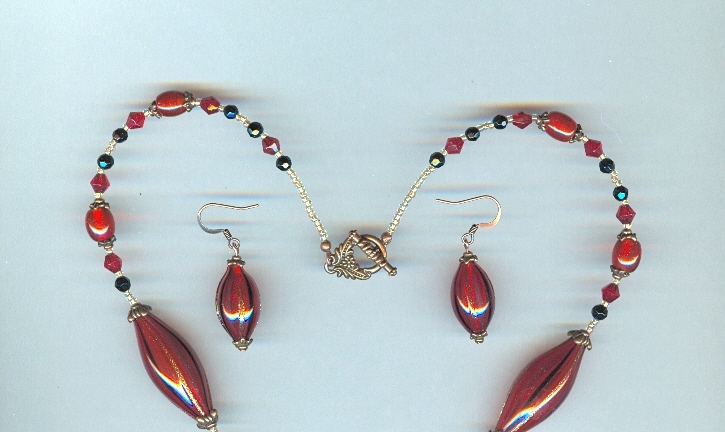 The dainty earrings end just 1-1/8 inch below the tops of their copper French hooks. 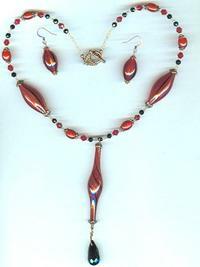 This set is an absolutely fabulous gift for the lady who likes red. We REALLY like red here at SPARKLE PLENTY. There are three very old (1920s at the latest) deep red glass cabochons, approximately 12mm in diameter, and channel set in brass.